Creamer capacity: 200ml / 7fl oz. 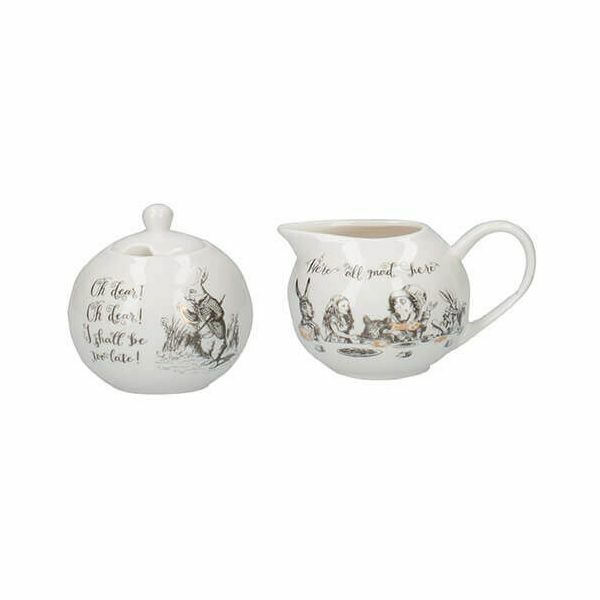 This 2 piece Alice in Wonderland sugar bowl and creamer set are both made from fine china. 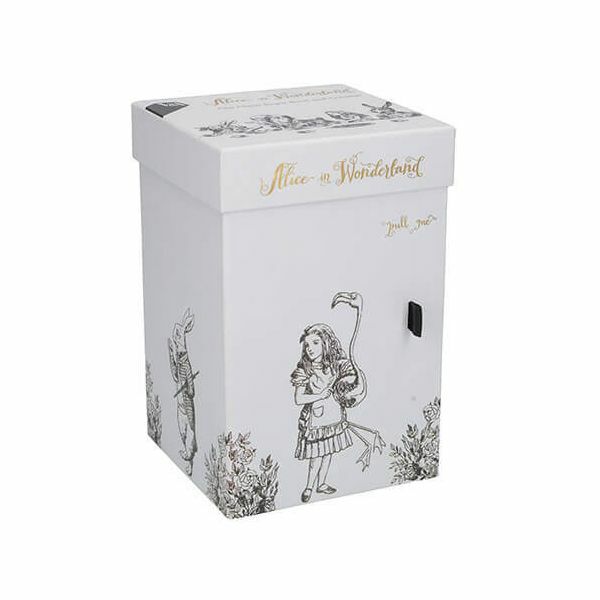 Both pieces are decorated in beautifully hand drawn illustrations, featuring Alice and the Mad Hatter. The sugar pot and lid shows Alice with a flamingo mallet with the quote 'Curiouser and curiouser'. 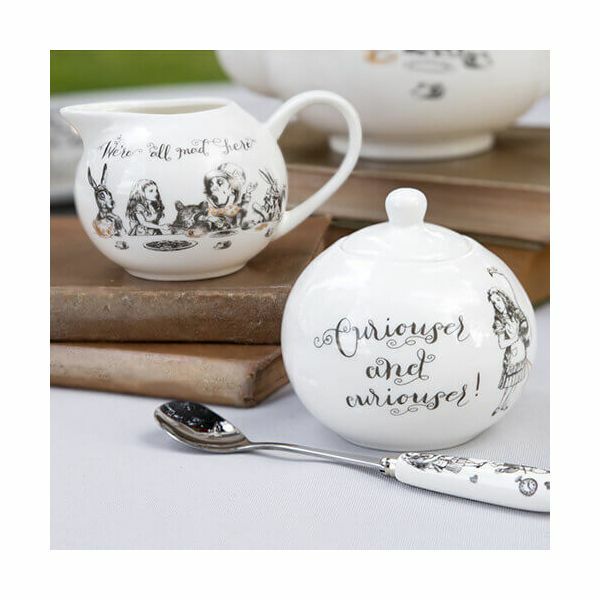 The creamer features the iconic Mad Hatters tea party and with the quote 'we're all mad here'. The sugar bowl and creamer set is presented in a luxuriously illustrated matching gift box, with a 'pull me' tab to let the adventure begin.